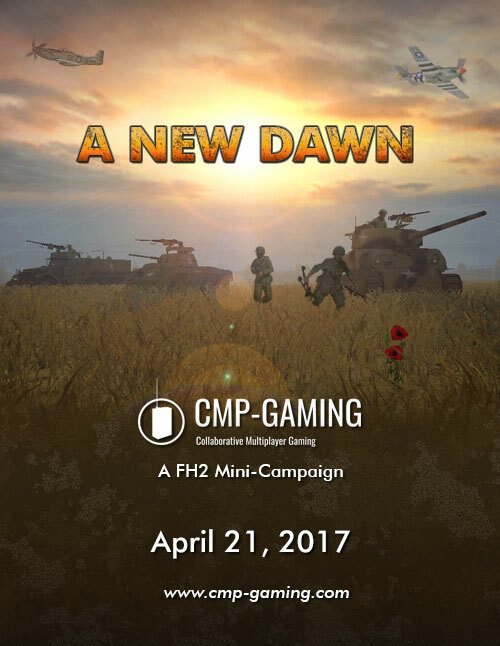 Today we have a render of a Soviet anti-aircraft gun and an announcement from the team at CMP-Gaming about their upcoming campaign. 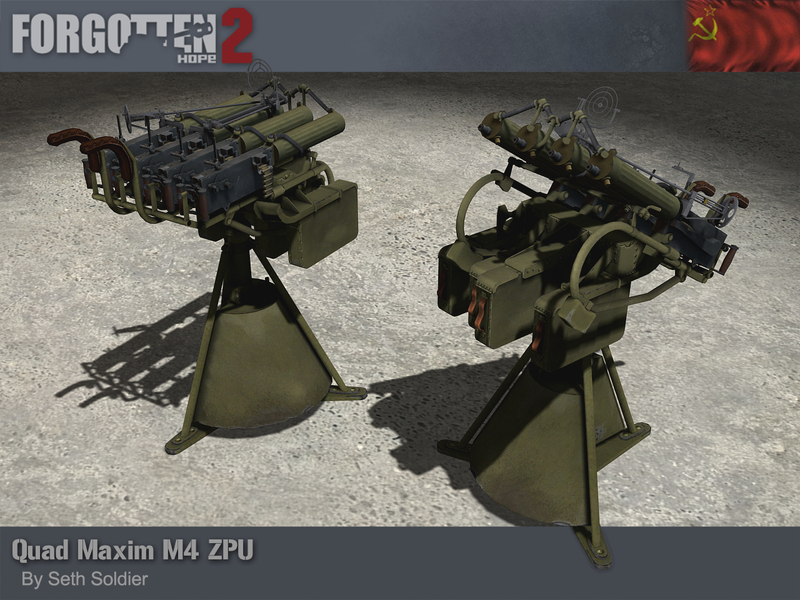 Our render is of the quadruple mount for the Maxim M1910 machinegun, the M4 ZPU. The ZPU was designed in the early 1930s and was adopted into the role of a light anti-aircraft gun by the Soviet military. It was mounted on the back of trucks trailers, armoured trains and ships. While it soon became apparent that it was lacking in fire power, it was never truly replaced in service during the war. The 4 Maxims are mounted onto a supporting frame, and are fitted with a hand operated forced cooling system (the tanks for which sit in between the tripod legs). Our ZPU was made by Seth Soldier. Welcome to the very first Forgotten Hope 2 CMP Gaming Campaign. Our main objective for this campaign is to bring back the fun, teamplay and competitivity to FH2 tournament style gameplay. This is a fresh start for all of us that includes a solid infrastructure and experienced management. 8 maps that have already been proven to be balanced and bug free in the past will be played every Friday night. From Argentan, Faid Pass, Gela , Etna Line, Hill 262 to Juin 44, Operation Nordwind, Operation Greif and Metz.